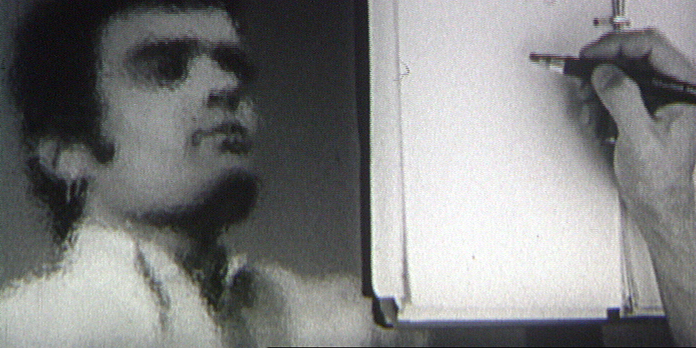 Image: Harun Farocki, Inextinguishable Fire, 1969. Film still. See more here. The specific purpose of utilization/expression in journalism also prevents the adequately intense and continuous investigation of a subject. Moreover, not enough research is being done on what really constitutes a useful library of images; the systematic and what defies systematization. What is called documentation shows the world as if it were known, which has the effect that a few years later, we can no longer experience what it looked like. Images must be made with which today’s strange world can be discovered and the present becomes history. We need to produce building blocks. First we need to develop them, and then we have to assemble and disassemble. With an institution like this we can also organize a coalition of working people, not from an abstract understanding but from the contact points of their work.